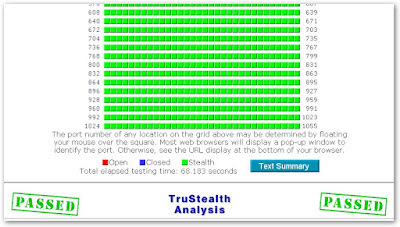 Year 2007 already over,there will be a lot of report on which is the best of computer firewall.Some will say Comodo,Kerio…. and you following the report install that computer firewall which is the best one.The question is,the computer still infected by worm or malicious program attacked,is it computer firewall not so effectiveness ? You will be surprise as the result show to you if you are using the popular computer firewall software. Do you know what is the computer firewall software can get all the 1056 TCP port shield up completely as showed in the photo above ?